Life & Style Weekly reports that Harry Styles and Taylor Swift went on a double date with Justin Bieber and Selena Gomez. Senior Reporter Andrew Nodell also talked about the other, other woman in Chris Brown’s love life and what might inspire Justin Timberlake to return to the studio. I joined HLN’s Jane Velez-Mitchell to chat about Chris Brown and Rihanna’s public appearance courtside at the Lakers game on Christmas Day. It was the couple’s first outing together since Brown’s 2009 assault of the singer. The producer/DJ teams up with Rihanna’s muse for this club-ready track. Rihanna and Chris Brown want to make each other their own, and they claim that “it ain’t nobody’s business” on the duo’s latest collaboration from Ri’s new album, Unapologetic. The problem is the song itself makes it everyone’s business. I believe every person has a right to privacy, so long as he or she exercises it. If you don’t want people to know or speculate about what happens in your world behind closed doors, then so be it. But, the doors are either open or shut – you can’t have both. It is unreasonable to sing, talk, tweet or communicate otherwise one second about your dirty laundry, and then the next conveniently label it off guards. Many artists, including Rihanna and Chris Brown, violate this notion. These celebrities don’t want to talk about their personal lives, unless they’re making money off of it. RiRi or Brown will never answer a question about the other in an interview, yet the Barbados singer has no problem hawking her new album with this song because it benefits her bottom line. The only bottom line is that singers set themselves up for a double-standard with this practice. It sends the wrong message to both the media and fans: My personal life is nobody’s business, unless it’s good for my business. Life & Style Weekly reports that Justin Bieber and Selena Gomez reunited this week in Los Angeles. Senior Reporter Laura Lane also dished about Rihanna’s friendship with Katy Perry since Chris Brown returned to the scene and offered up new details on Miley Cyrus’ wedding. 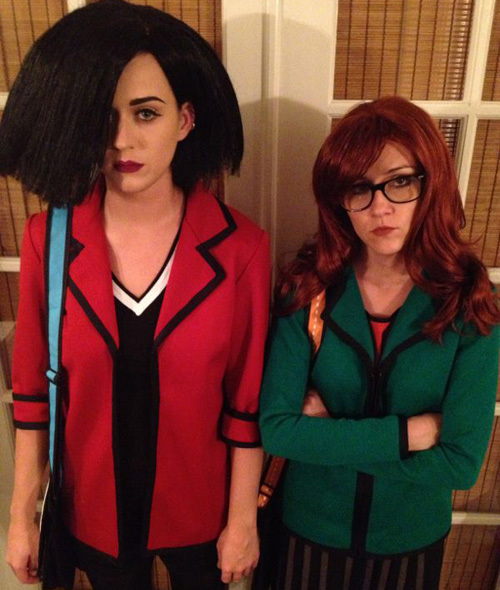 THE FUNNY: Props to Katy Perry and her bestie, actress Shannon Woodward, who went MTV old school flow with Jane Lane and Daria. THE INTERESTING: Lady GaGa was in Puerto Rico and threw a private party where she dressed up as marijuana. 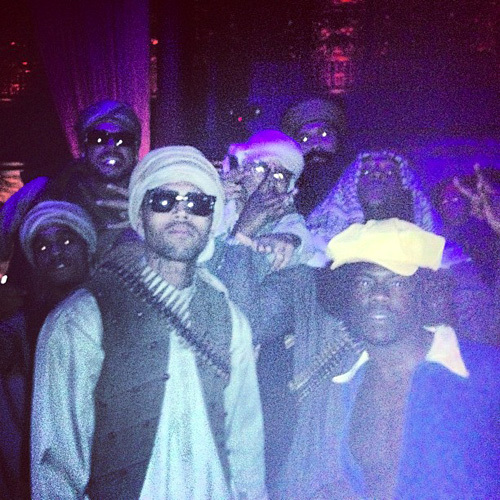 THE AWFUL: Chris Brown and his crew decided “Arab terrorists” would make a good costume at Rihanna’s Halloween bash. Life & Style Weekly reports that Chris Brown and Rihanna are back together… again. Senior Reporter Andrew Nodell also talked about Jason Aldean’s night out in Hollywood that he is now apologizing for and the new house that Selena Gomez purchased. So, you’d like to erase the Internet of Chris Brown? Well, there’s an app for that… a plugin to be exact. 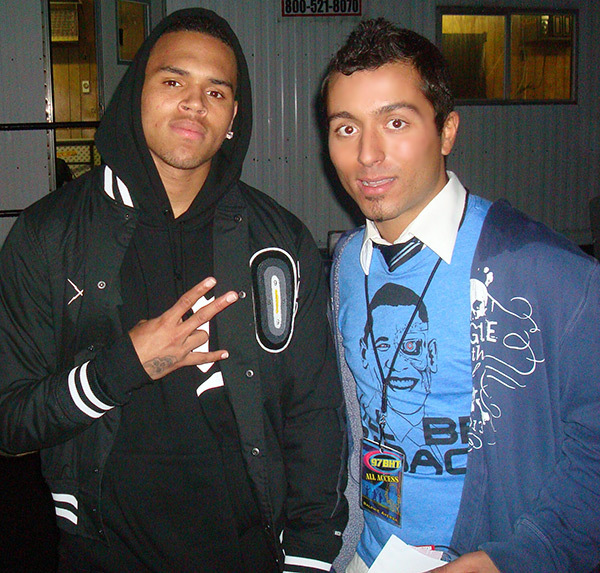 Canada-based AUX TV Online Editor Sam Sutherland called in to “The Ralphie Radio Show” from Toronto to chat about “Chris Brownout,” a Google Chrome plugin that blocks your Internet of anything related to the troubled R&B star.